1. This action arises under the First and Fourteenth Amendments to the United States Constitution, the Supremacy Clause of the United States Constitution, and 42 U.S.C. § 1983. Jurisdiction is conferred on this Court pursuant to 28 U.S.C. §§ 1331 and 1343(a)(3). 2. This is a case asserting the fundamental constitutional rights of Plaintiffs. Plaintiffs are pro-life advocates who engage in lawful expressive activity in the State of Hawaii and elsewhere to protest abortion and to promote respect for human life. This is a civil rights action challenging the constitutionality of § 40-6.1 of the Revised Ordinances of Honolulu, Hawaii (hereinafter “Honolulu Ordinance”). (A true and correct copy of the Honolulu Ordinance is attached to this Complaint as Exhibit A and is incorporated herein by reference.) The Honolulu Ordinance prohibits Plaintiffs from engaging in certain pro-life speech activity within or above the boundaries of the City and County of Honolulu, Hawaii. 3. Plaintiffs seek a declaration that the Honolulu Ordinance is unconstitutional and a permanent injunction enjoining its enforcement. Plaintiffs also seek an award of reasonable costs of litigation, including attorneys’ fees and expenses, pursuant to 42 U.S.C. § 1988. 4. Plaintiffs’ claims for declaratory and injunctive relief are authorized by 28 U.S.C. §§ 2201 and 2202, by Rules 57 and 65 of the Federal Rules of Civil Procedure, and by the general legal and equitable powers of this Court. 5. Plaintiffs’ prayer for relief regarding costs, including reasonable attorneys’ fees, is authorized by 42 U.S.C. § 1988. 6. Venue is proper under 28 U.S.C. § 1391(b) because a substantial part of the events or omissions giving rise to Plaintiffs’ claims occurred in this district. 7. Plaintiff Center for Bio-Ethical Reform, Inc. (“CBR”), is a pro-life, California-based, non-profit corporation. It is a section 501(c)(3) organization that is incorporated under the laws of the State of California. 8. Plaintiff Gregg Cunningham is an adult resident of the State of California and a citizen of the United States. Plaintiff Cunningham is the Executive Director of CBR. 9. Defendant City and County of Honolulu (hereinafter referred to as “Defendant Honolulu”) is a municipal entity organized and existing under the Constitution and laws of the State of Hawaii. Defendant Honolulu enacted and will enforce the Honolulu Ordinance. 10. Defendant Peter Carlisle is the prosecuting attorney for Defendant Honolulu. He is responsible for enforcing the provisions of the Revised Ordinances of Honolulu, including the Honolulu Ordinance, and for prosecuting all criminal and civil cases arising from violations of the provisions of the Revised Ordinances of Honolulu, including the Honolulu Ordinance. At all relevant times, Defendant Carlisle was an agent, servant, and/or employee of Defendant Honolulu, acting under color of state law as that phrase is used in 42 U.S.C. § 1983. Defendant Carlisle is sued in his official capacity. 11. Defendant Lee D. Donohue is the Chief of Police of the Honolulu Police Department. He is responsible for enforcing the provisions of the Revised Ordinances of Honolulu, including the Honolulu Ordinance. At all relevant times, Defendant Donohue was an agent, servant, and/or employee of Defendant Honolulu, acting under color of state law as that phrase is used in 42 U.S.C. § 1983. Defendant Donohue is sued in his official capacity. 12. CBR was established in 1990 as a non-profit public policy and advocacy group to promote social reform with regard to prenatal justice and the right to life for the unborn, the disabled, the infirm, the aged, and all vulnerable peoples through education and the development of innovative educational programs. One such educational program is the Airborne Reproductive Choice Campaign (“ARCC”). 13. Historically, social reform in America tends to be effected through the use of shocking photographs, which dramatize injustice and prick the collective conscience of the culture. Examples of this phenomenon include the abolition of child labor, the civil rights movement, anti-war movements, and environmental causes. These photographs have traditionally been published and broadcast by gatekeepers who control access to the news and entertainment media and the educational establishment. These gatekeepers are today, however, largely hostile to pro-life activism and have suppressed imagery related to abortion. If pro-life social reformers, such as Plaintiffs, are to have a decisive influence on public opinion regarding abortion, they must counter this monopolistic control of the traditional mass media by creating alternative mass media. Aircraft towed photographs, such as those used by Plaintiffs as part of the ARCC, are presently the only means by which pro-life reformers can engage viewers in sufficient numbers to give any real meaning to Plaintiffs’ exercise of their free speech rights. Less effective means of speech will never produce the critical mass required to influence public opinion at the levels necessary to alter public policy regarding abortion. 14. The ARCC consists of large, colorful pictures depicting graphic images of first-term aborted fetuses displayed on banners towed behind aircraft. (True and accurate photograph of CBR’s tow banner are attached to this Complaint as Exhibits B and C and are incorporated herein by reference.) The pictures on the aerial tow banners are accurately captioned as to age, in weeks since fertilization. 15. Plaintiffs’ aerial tow banners are not solicitations or commercial speech; they are political speech. 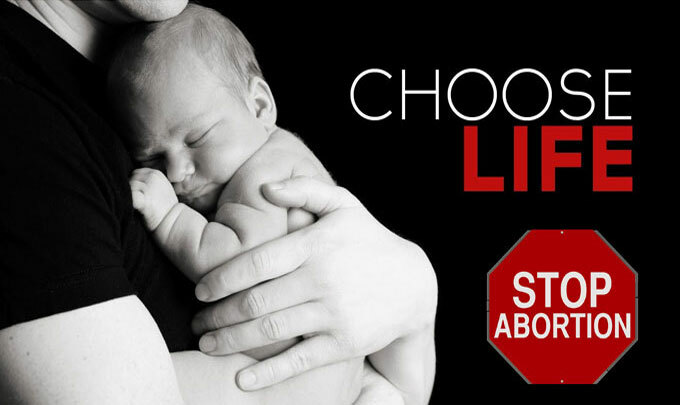 The purpose of this educational program is to expose as many people as possible to the reality of abortion, particularly first-term abortions. The ARCC demonstrates to onlookers that abortion is a violent act that results in the killing of innocent human life and is, therefore, contrary to the common good. Plaintiffs express their pro-life message by displaying these aerial banners over heavily populated areas, including over beaches and other public areas throughout the United States. The Plaintiffs have flown their pro-life aerial banners in California, Florida, Massachusetts, New York, New Jersey, and Texas. 16. Plaintiffs are in the process of purchasing their own aircraft to fly their aerial banners, and Plaintiffs have the capability to transport this aircraft to Defendant Honolulu in order to fly their pro-life aerial banners in Hawaii. Additionally, Plaintiffs are in the process of forming their own subdivision of CBR that will provide aerial advertising to fly their pro-life aerial banners. At times, Plaintiffs have hired individual pilots or companies that provide aerial advertising to fly Plaintiffs’ pro-life aerial banners. Plaintiffs will hire a company that provides aerial advertising to fly its pro-life aerial banners in Defendant Honolulu until Plaintiffs are able to do so independently. 17. Plaintiffs have engaged in pro-life demonstrations in Defendant Honolulu through pro-life volunteers who work for CBR in Hawaii. However, because of the Honolulu Ordinance, Plaintiffs have been unable to fly their aerial banners over the beaches and other public areas in Defendant Honolulu as part of their pro-life demonstrations. 18. The ARCC is the most effective alternative medium through which Plaintiffs can meaningfully express their opposition to abortion because the photographs on the tow banners make abortion difficult to ignore or trivialize, and these pictures show that abortion is truly an act of violence that causes the death of an innocent human life. Therefore, CBR’s photographs powerfully demonstrate that abortion is contrary to the common good. 19. The ARCC is, by far, Plaintiffs’ most effective and safe way to express their pro-life message in Defendant Honolulu. The controversial nature of Plaintiffs’ message prevents them from having access to the traditional media outlets in Defendant Honolulu and elsewhere. Additionally, the ARCC is the safest and most cost effective means for Plaintiffs to express their pro-life message to the mass target audience that visits our nation’s public beaches and parks, including the public beaches and parks located within Defendant Honolulu. By displaying one banner for approximately five hours, Plaintiffs estimate that they are able to communicate their pro-life message to many hundreds of thousands of people. 20. The aerial tow banners are a unique means of communication in that they provide Plaintiffs the ability to reach a mass audience on an important public issue. There are no alternative means of communication available to Plaintiffs in Defendant Honolulu that would permit Plaintiffs to express their pro-life message as effectively to such an audience. 21. Plaintiffs want to engage in their peaceful pro-life demonstrations by displaying their aerial tow banners within or above the boundaries of Defendant Honolulu. However, because of the enactment and enforcement of the Honolulu Ordinance, Plaintiffs are unable to do so. 22. Municipalities, including Defendant Honolulu, have no jurisdiction over airspace. Airspace is in control of the Federal Aviation Administration (“FAA”). Moreover, the United States Congress, through the FAA, has acted to occupy the entire field and to preempt altogether any state or municipal regulation purporting to reach into the navigable airspace, including laws regulating banner towing and aerial advertising flight operations, such as the Honolulu Ordinance. The Honolulu Ordinance conflicts with and stands as an obstacle to the accomplishment and execution of the full purposes and objectives of federal law. 28. The Honolulu Ordinance does “not apply to the display of a sign or advertising device when placed on or attached to any ground, building, or structure,” subject to certain other regulations. 30. Plaintiffs hereby incorporate by reference all above paragraphs. 31. By reason of the aforementioned acts and omissions, engaged in under color of state law, Defendants have unconstitutionally deprived Plaintiffs of their freedom of speech rights guaranteed under the First Amendment to the United States Constitution as applied to the states and their political subdivisions under the Fourteenth Amendment, and 42 U.S.C. § 1983, in that Defendants, by enacting and enforcing the Honolulu Ordinance, are preventing Plaintiffs from expressing their opposition to abortion in a public forum through the aerial display of pro-life signs depicting images of first-term aborted fetuses. 32. Plaintiffs hereby incorporate by reference all above paragraphs. 33. By reason of the aforementioned acts and omissions, engaged in under color of state law, Defendants have unconstitutionally deprived Plaintiffs of the equal protection of the law guaranteed under the Fourteenth Amendment to the United States Constitution and 42 U.S.C. § 1983, in that Defendants, by enacting and enforcing the Honolulu Ordinance, permit certain speech in a public forum but deny Plaintiffs the right to express their opposition to abortion in this same public forum through the aerial display of pro-life signs depicting images of first-term aborted fetuses, thereby denying Plaintiffs the use of a public forum based on the content of their speech. 34. Plaintiffs hereby incorporate by reference all above paragraphs. 35. Defendant Honolulu lacks authority to enact and enforce the Honolulu Ordinance because the United States Congress, through the FAA, has acted to occupy the entire field and to preempt altogether any state or municipal regulation purporting to reach into the navigable airspace, including laws regulating banner towing and aerial advertising flight operations, such as the Honolulu Ordinance. 36. The Honolulu Ordinance conflicts with and stands as an obstacle to the accomplishment and execution of the full purposes and objectives of federal law. D) to grant such other and further relief as this Court should find just and proper. Respectfully submitted this _____ day of April, 2003. By: Robert K. Matsumoto, Esq.